Home / News / PREVIEW: Semi-Finals get underway as the playoff journey continues! 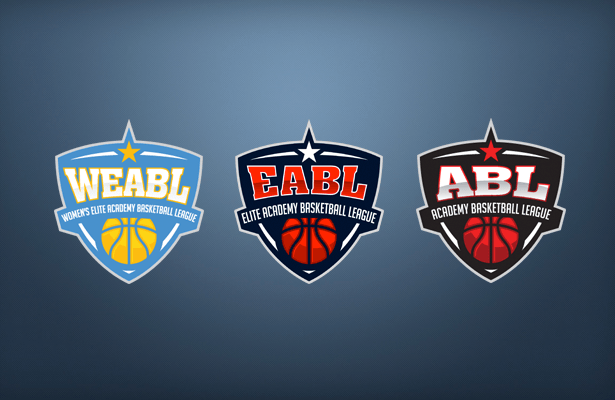 The first round of the Academy League Playoffs saw some exciting basketball action, with teams competing hard for a chance to take their team to the Final. 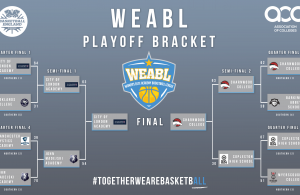 With the Quarter-Finals completed, the WEABL Semi-Finals are set to get underway this week, as the top 4 teams will go head-to-head on Wednesday. Lets take a look at the teams that have made it this far and who they’re up against! City of London Academy progressed to the WEABL Semi-Finals for the fourth consecutive year with a 64-31 win over Oaklands College last week. CoLA built up a 44-15 halftime lead and continued to maintain the advantage for the rest of the game. They were led by Maya Hyacienth who finished with 17 points, whilst Amelia Sandie tallied 14 points and Megan Haines weighing in 10 first half points. Head Coach Jackson Gibbons will be looking for that winning momentum to continue into Wednesday’s Final 4 match-up. JMA head into this one on the back of a 70-36 win over a weakened Manchester Mystics Academy in last week’s quarter-finals. Paula Romero Tarrega led the way for the Reading Academy with 15 points, as they effectively sealed the win by taking the third quarter 21-2. Angelique Villava-Cua’s had the hot hand and knocked down 12 points (all threes), while Anabel Latorre Ciria also made it into double figures with 10 points. Head coach Blai Benlloch will no doubt look for the strong performances to continue. Charnwood College defeated Barking Abbey School 62-38 in their WEABL Quarter-Finals and will now face Coach Nick Drane and Copleston High School in the Final 4. 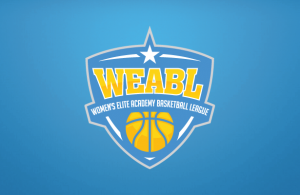 Last week’s replay of the 2018 WEABL Finals was a physical one, with Charnwood coming out firing in the second half to stretch the lead beyond the reach of Barking. Holly Winterburn led the way for her side with 17 points and will look to continue her impressive play this week, whilst Holly Wright and Hannah Dawson had some strong performances which they will look to replicate. Copleston head into this ‘Final Four’ match-up after a dominant display against Myerscough College, defeating the Preston-based academy 87-51 in Ipswich. Charlotte Redhead was enjoying some of her best basketball of the season, while Susanna Rafiu and Ines Bowman-Boyles controlled the game with their physical presence as Copleston extended their lead to thirty points by the final quarter. 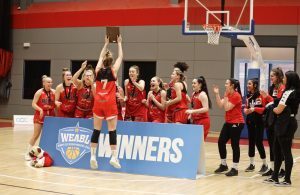 Ella Pearson had an outstanding game for her side as she knocked down 21 points, whilst 4x WEABL Player of the Week Esther Little dropped a double-double of 18 points and 11 rebounds. Cameron Taylor-Willis, back from injury, was also back to her best, dominating the boards for 10 points and 18 rebounds.